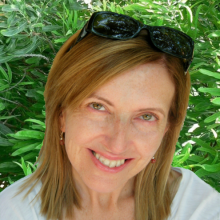 President and founder of Shore Research Inc., Karin Samii-Shore is in charge of Shore’s day to day operations. Karin also develops strategy, and designs and conducts research for our clients. She specializes in evaluation planning and development, evaluation capacity building and examining topics related to the impact of teaching and learning at all levels — individual, group, and organization. A natural collaborator, Karin loves to team with her clients to provide services tailored to their specific interests and needs. Ms. Samii-Shore has a Master’s degree in Human Development from the University of Texas and a Bachelor’s degree in Psychology from the San Diego State University. These days Karin spends a lot of time at the ball fields with her husband watching her son play whatever sport is in season. In the spring it’s baseball and in the fall it’s Texas’ national pastime (some say religion) — football. A mostly avid runner, on the weekends you’ll find her on the trails around Lady Bird Lake, often with her dog Bailey. The Shore family loves to travel; recently Karin was able to spend an amazing vacation in Thailand and China. Karin loves Starbucks, and hates spelling and the “i before e except after c” rule (because it’s a lie). 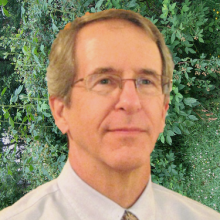 Kurt Steuck heads up statistical analyses and procedures for Shore Research and has more than 25 years of experience in research and evaluation. After receiving his Ph.D. from the University of Wisconsin-Madison in Educational Psychology, Dr. Kurt Steuck taught at Trinity University in San Antonio. He then worked for 15 years in the Air Force Research Laboratory applying principles of educational psychology and artificial intelligence to the design, development, and evaluation of educational software. After leaving federal service, he worked in the private sector researching and developing instructional technologies in education and training settings. Dr. Steuck is a member of the International Society for Technology in Education and the San Antonio Math and Science Collaborative. Kurt is a cycling enthusiast, riding over 5,000 miles per year. He volunteers his time with Team in Training, training new cyclists to complete a 100-mile cycling event while raising funds for the Leukemia and Lymphoma Society. Prior to having an addiction to cycling, he played soccer (not well, though) and ran 5K and 10K races (slowly). As a native of Wisconsin, he looks forward to his annual trek back to enjoy tasty (but not healthy) Wisconsin cheese, beer, brats, and ice cream. He and his wife have two adult sons. Sharon Smith is a research assistant and joined Shore Research shortly after the company was established. 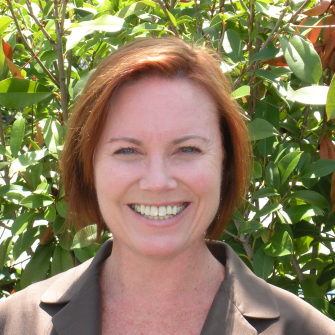 Over the years Sharon has assisted in nearly all aspects of the evaluation process. Her specialty is utilizing her strong organizational and communication skills to organize data collection for both small- and large-scale projects. Sharon has a Bachelor’s degree in Social Work and is a former registered nurse. Her background includes experience in child development, teaching, and group counseling. Sharon and her husband share a passion for travel which they passed down to their teen daughter. They’ve visited 11 countries in the past 10 years and, while Sharon does not consider herself to be a foodie, she longs to return to Italy just for its fantastic cuisine. When at home, Sharon can be found reading, walking her dog, watching movies and, if she is sure no one is watching, reading a celebrity magazine.